Situated off I-40 along Old Historic Route 66, the Econo Lodge Inn and Suites hotel in Santa Rosa, NM is an easy stop on the road near the Blue Hole. 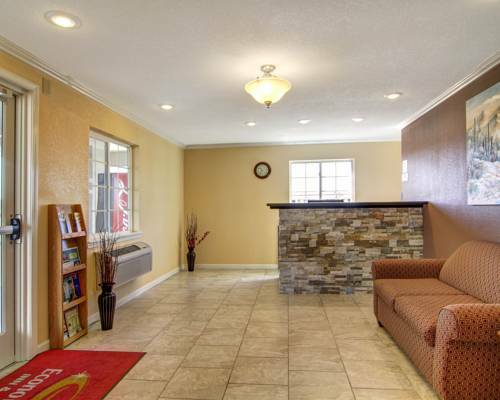 We offer an experience that simplifies travel, as well as amenities that meet your budget, like our free Easy Starts continental breakfast, free WiFi and laundry facilities. We also offer free airport transportation to nearby Santa Rosa Route 66 Airport. Each guest room offers convenient outlets at the nightstand, a TV, desk, microwave, refrigerator and coffee maker. Select rooms come with sofa sleepers and family rooms. Also, earn rewards including free nights and gift cards with our Choice Privileges Rewards program.